Coming back to the garden has been fun. 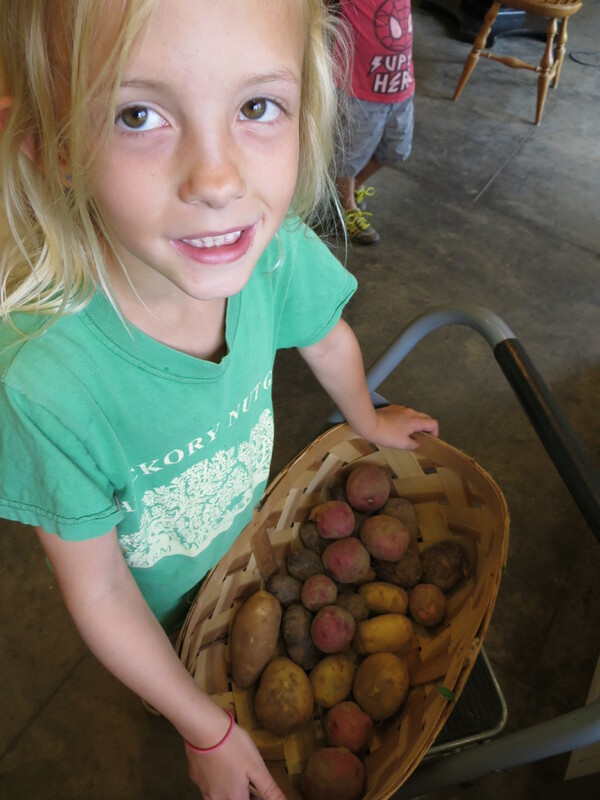 Lots is being produced out there–corn (sweet corn is about ready to pick), beans (2 gallons today! 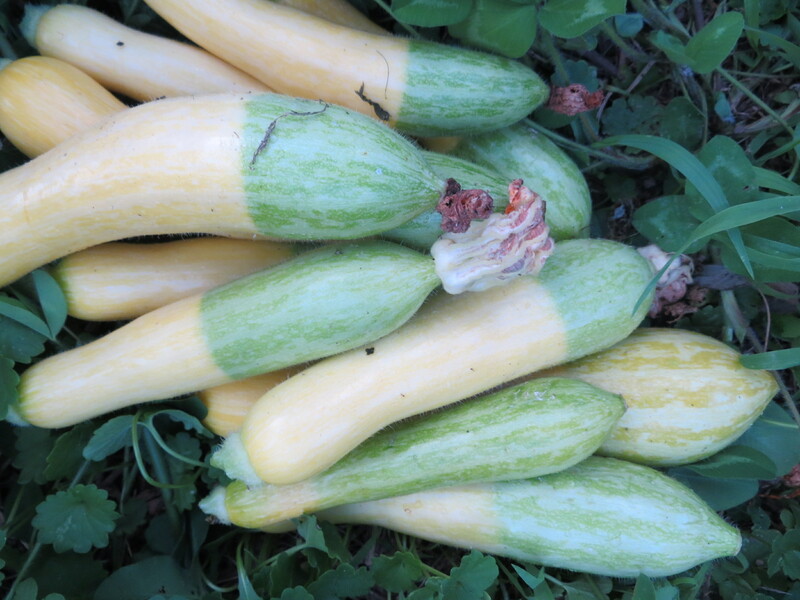 ), squash (probably the last), lots of potatoes (red, white, and blue! 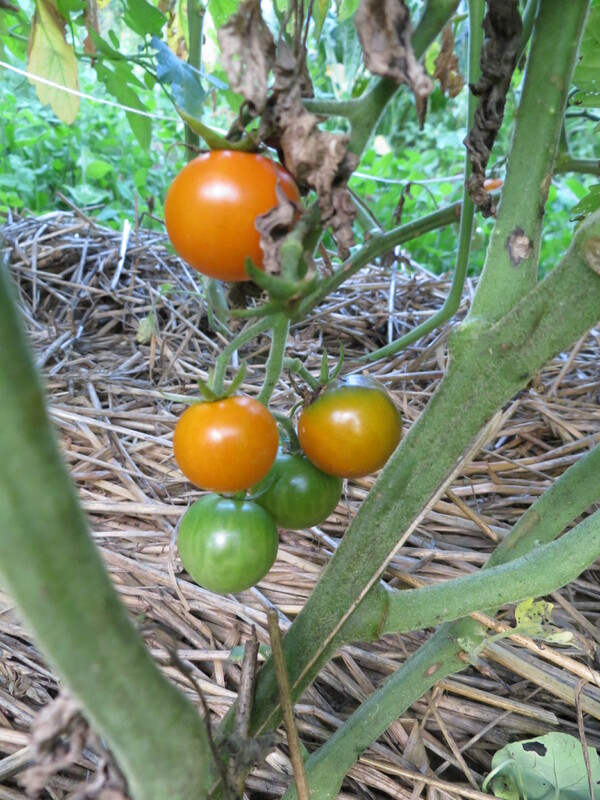 ), and the first tomatoes. Pumpkins and the 4th and 5th sowing of beans are growing like mad. 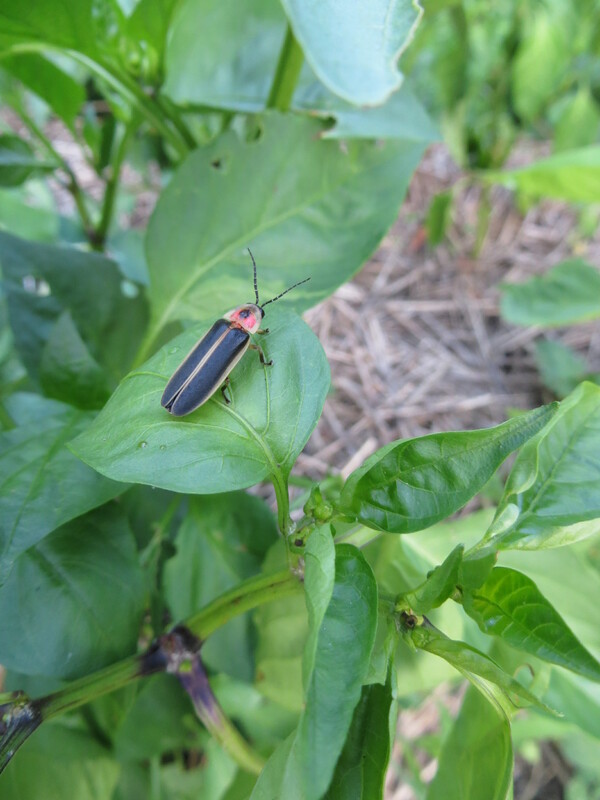 The peppers have a couple of green one on them, but I am waiting for something better (like that lightning bug?). Some things are done–garlic, cilantro, lettuces. I realized this week that I need to start planting the fall crops in the next couple of weeks (probably after we go to the coast next week). The new things will take the place of those that came out (garlic, fennel, peas, lettuces). I need to get those beds cleaned up again and add some compost. I do love a fall garden. 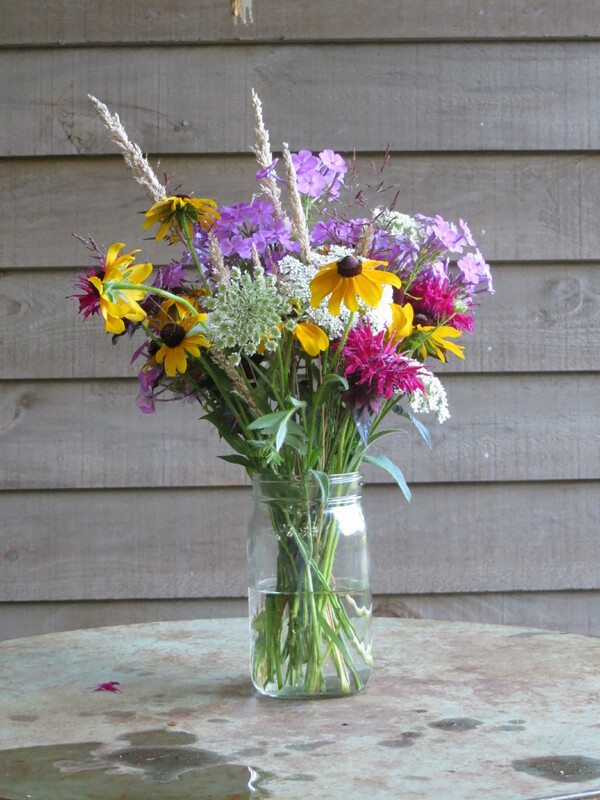 Also, the wildflowers around here are beautiful–these were gathered on an evening family walk. Probably my favorite bouquet this year! Nature is the best gardener. I love potatos! And fresh ones are the best! Yes. We’ve been loving the new potatoes! I heard on NPR to plant cilantro every other week if you really like it . It is not a heat lover so go figure it in Mexican recipes. My cilantro self-sows itself in my garden, so I’ve let it go to seed again–and hope to have some in a few weeks (maybe when the tomatoes are going strong).